The most exceptional service, the friendliest staff and most breathtaking property. The property is absolutely divine, I have no negative comments at all. It is pure paradise. On top of the perfection of the resort, the staff are the best I have ever encountered. They are so incredibly helpful and attentive, they absolutely made our trip and I extend my thanks to them all. Soori Bali is the best holiday I have ever experienced and I plan a return trip every year! Location. View. Clamness. Cleanness. The resort is perfect for honeymooners. Thanks to Ayu at Cotta restaurant she was really nice and took care of us. Very expensive for the ocean pool views but very much worth it. 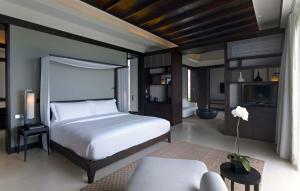 We loved our stay here, the rooms are exactly as they look, simple and modern luxury, the Indian Ocean at your doorstep. The restraurant serves the most amazing Waygu beef and lobster. The staff is so lovely! 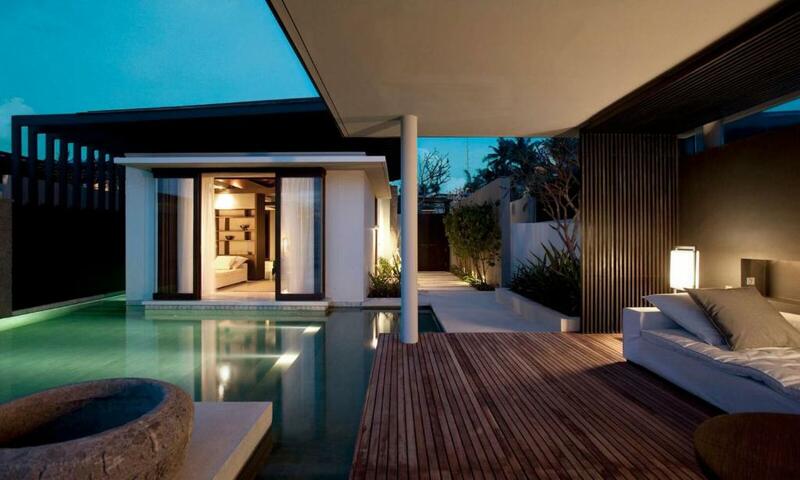 modern and puristic architecture perfectly nestled between rice fields and the sea. The sound of the sea unrivaled. Fabulously friendly, warm and welcoming team. Excellent food, exquisite dishes and wide variety of menu choices. People are genuinely the biggest asset. Tremendously tranquil experience. Food was good and service was impeccable. The staff were always very caring and attentive to our needs and never failed to extend help to us when necessary. Food was also very good contrary to the other reviews that have been posted. Service was very good and I enjoyed the welcome drinks and the view from the ocean view from the villa every morning was amazing. We visited on a family trip. Splendid resort facing the black sand beach. Gorgeous and elegant surroundings. Exquisite food. Delightful evening entertainment. Impeccable upscale service and attention to detail. What more can one ask for? "If there be a paradise on earth, it is here, it is here". 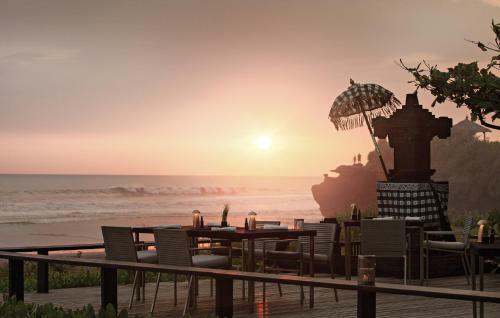 Lock in a great price for Soori Bali – rated 8.9 by recent guests! 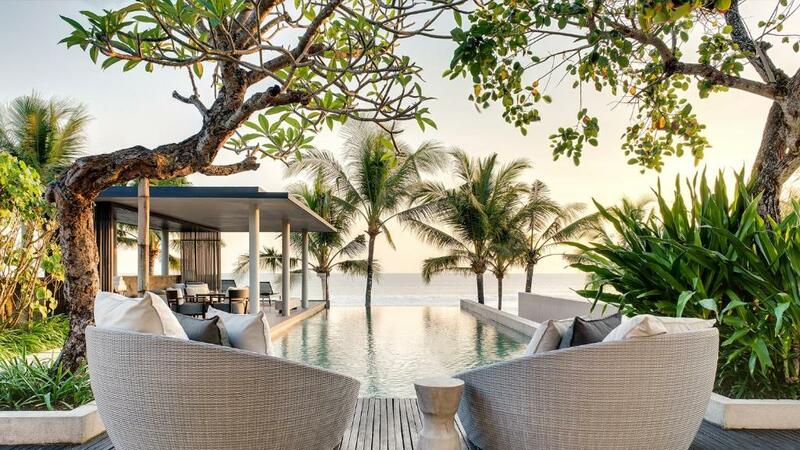 Soori Bali This rating is a reflection of how the property compares to the industry standard when it comes to price, facilities and services available. It's based on a self-evaluation by the property. Use this rating to help choose your stay! 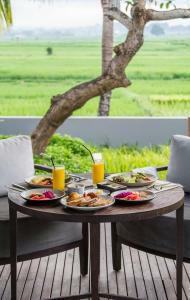 Surrounded by rice terraces overlooking the Indian Ocean, Soori Bali offers villas with free wireless internet access. Each villa features a private pool and views of the sea. Facilities at Soori Bali include a spa center featuring natural spa treatments and an infinity-edge swimming pool. Private beach cabanas allow for comfort while soaking up the sun. Guests looking for activities or day trips can inquire with the leisure concierges. When would you like to stay at Soori Bali? Villas are located on ground level with views of the ocean. Rooms are located on a higher level with panoramic views of the ocean. Features a private pool surrounded by landscaped grounds, as well as a lounge pavilion. This spacious villa is set amid a well-manicured tropical garden. It also offers a separate living area, outdoor pavilions and terraces. It is bordered by an infinity-edged pool and has partial ocean view. This spacious five-bedroom beachfront villa features an outdoor infinity swimming pool overlooking the sparkling Indian Ocean. It comes with separate living area in the private pavilion complete with large LCD satellite TV, Apple TV, and high-end Bose sound system, and an iPod dock. There are also a well-equipped kitchen, outdoor dining area, and personal aid quarters. Each bedroom is air-conditioned and fitted with wardrobe, personal safe, and an private bathroom featuring bath and shower facilities, double vanity, and complete range of bath amenities. Guests can also enjoy private gym and spa facilities, 24-hour room service, personal butler service, and a chauffeur-driven luxury car available 24-hour a day throughout your stay. This spacious ten-bedroom beachfront villa features an outdoor infinity swimming pool overlooking the vast Indian Ocean, an outdoor dining area, and well-equipped kitchen. The private pavilion has a living area fitted with a large LCD satellite TV, Apple TV, iPod dock, and a set of high-end Bose sound system. The bedrooms are all air-conditioned and fitted either king-size bed or twin beds, personal safe, wardrobe and private bathroom with shower or bath facilities, double vanity, and complete range of bath amenities. Guests can also enjoy private gym and spa facilities, a library 24-hour room service, personal butler service, and a chauffeur-driven luxury car available 24-hour a day throughout your stay. Helipad and parking space are also available at this villa. Soori Bali is a private and luxurious retreat where you can hide away and heal the soul amid the beauty, warmth and rich culture of Bali. Surrounded by UNESCO’s world heritage protected rice fields. Just 25 minutes from Soori Bali, Tanah Lot Temple - a Hindu shire dating to the 16th century, is perched atop volcanic rock amidst constantly crashing wave. We do arrange a Signature Journey to lets you capture the awakening of Magical Tanah Lot Temple and Batu Bolong Temple at dawn, away from the croud. House Rules Soori Bali takes special requests – add in the next step! Children 4 and older are allowed at this villa. Soori Bali accepts these cards and reserves the right to temporarily hold an amount prior to arrival. Please note that the credit card used for booking with the same name must be presented upon check-in, otherwise the property might reject the booking or request that full payment is settled immediately with an alternative payment method. Please inform Soori Bali of your expected arrival time in advance. You can use the Special Requests box when booking, or contact the property directly using the contact details in your confirmation. just with the full moon a lot of bugs inside the room. The location isn’t great but you get the see black sand beaches and the Indian Ocean. Loved it. There was not one thing I did not like. Privacy not 100% guaranteed as people can still walk on the beach and on grass in front of your private pool. Location is in Tabanan isolated and faraway from main attractions. Everything else is just amazing ! Conditioning in front of the bed, strange smell in the room. Océan, service, breakfasts, villa , people. The hotel property (esp rooms) appears to be old and needs to be refurbished. Rooms were clean, neat and tidy but has worn out tremendously over time with floors cracked, stained and switches broken. Toilet condition was also clearly in need of refurbishment as there were cracks everywhere. Private pool tiles were also cracked and damaged. Spa:dark, cold. Couldn’t wait when treatment is finished. Very quiet. Food was excellent. The food in general could have been better. Variety was good but the quality was somewhat lacking.